Have you ever gotten to the gym and realized that you forgot your headphones? It almost makes you want to turn around and go home. Gyms and parks are full of people listening to their favorite motivational soundtrack while they break a sweat. Well, it turns out this is more than just personal preference – research shows that music promotes better performance and improves mood. So, using music for motivation has a variety of very real, tangible benefits! During exercise and in other parts of our lives, music has a unique ability to produce emotions and affect our thoughts, for better or for worse. 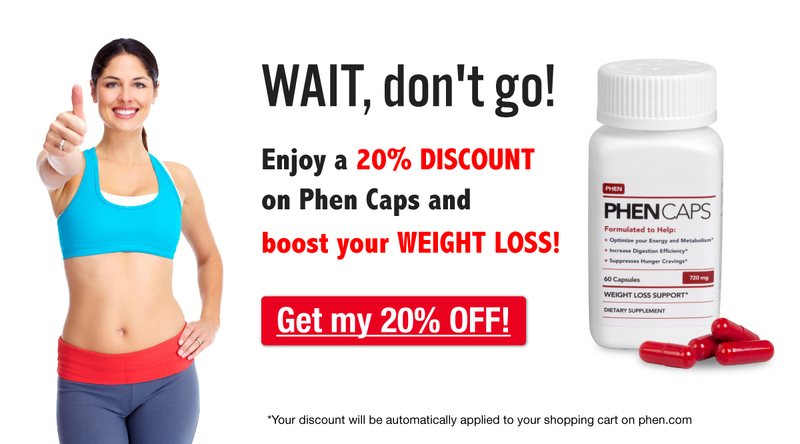 Throughout your weight loss journey with phentermine, take advantage of the positive effects of music for motivation. Here we’ll discuss how music affects our thoughts and actions, plus give you some tips for building the perfect playlist of workout motivation music! Think of your favorite song. How did you feel the last time you heard it? Happy? Moved? Hopeful? Inspired? Empowered? Studies show that we react to music on a biological level. Here’s a little more about how music affects us, and how we can utilize music for motivation! Headphones are a staple of most gym-goers’ workout attire. Why? Music helps us push harder and longer during workouts, which ultimate leads us to work harder and burn more calories. Whether your goal is strength, fitness, weight loss, or a combination of the three, an empowering soundtrack of motivational music proves irreplaceable during regular sweat sessions. The first two are qualities contained within the music itself, while the second two are determined by the environment in which you listen. For this reason, they are called internal and external factors, respectively. Even though scientists still aren’t exactly sure how music affects the brain and body, research shows that music undoubtedly affects perception and performance. The benefits of using music for motivation start before you even lace-up your sneakers. Have you noticed that many pro athletes (most famously, Michael Phelps) come out into the arena listening to music instead of talking with their teammates? This practice is rooted in science that shows getting into a great playlist just before the event boosts performance. The first way that music betters performance is through preparing the body. Scientists have found that listening to upbeat music prior to an event increases heart rate, muscle tension and breathing. These are all biological changes that prime you for better athletic performance. Whether you’re a competitive athlete or just hitting the gym after work, getting your body ready for sport ahead of time helps you move and feel your best. Some research has also shown that listening to well-liked music before a competition increases confidence. More confidence means better visualization, and that usually means better performance! From athletic completions to work presentations to your daily workout, getting in the zone improves performance. So, next time you need a quick pick-me-up, press play and listen to some of your favorite tunes! Music helps us push harder, feel better, and go longer when we listen while training. Exercisers experience the greatest benefit when they combine pre-workout pump-up music with a playlist of motivational music during their workout. The most notable advantage of music during exercise is participants’ ability to exert additional effort without feeling significantly more worn-out. Research shows that listening to upbeat songs that you like increases power and motivation. At the same time, it decreases perceived effort, which allows you to continue for longer. All the while, well-liked songs improve athletes’ mood during exertion tests. Want to walk for longer? Find some motivational music. Want to run a little faster? Try some music for motivation. Just not in the mood today and need a little extra motivation? Put on some of your favorite tunes. The effects of music are most pronounced with moderate intensity exercise as compared to high-intensity exercise. This means that motivational music is most effective during activities like cycling, jogging, brisk walking, elliptical training or rowing. Upbeat tunes are not as useful, however, during sprints, heavy lifting or high-intensity circuit training. Scientists believe this inconsistency stems from the fact that the physical takes over, and the extra emotional drive provided by music proves less relevant, when you’re working really hard. Who Benefits the Most from Music During Exercise? Some people only workout with music in-hand, while others prefer to enjoy their workout in silence. Personal preference is part of this divide, but two factors have also emerged that predict the utility of motivational music. Extroverts experience greater benefits than introverts when it comes to using music for motivation. This likely relates to extroverts’ natural gravitation towards outside stimuli, and greater desire for external affirmation. One of the qualities that most determines songs’ ability to bolster endurance and power is the presence of motivational, affirming lyrics (in addition to tempo). It makes sense, then, that extroverts respond more strongly to encouraging declarations in music than do introverts, who tend to be more internally motivated. Less trained athletes also respond more strongly to music for motivation. Trained athletes do not seem to experience the same emotional relief/boost as untrained athletes when they workout with music. This may be due to the fact that trained athletes are more likely to exercise at a higher intensity (where motivational music isn’t as effective), or because their workouts are simply more physical and less emotional in nature overall. We’ve discussed the many benefits of using music for motivation while you exercise, but are there any times when listening to tunes proves detrimental? Actually, yes. You should turn off the tunes when you’re learning a new exercise or testing your limits. In both cases you need to be wholly aware of your body and listening to all of its cues. Music may prove counterproductive if it distracts you from the critical pain or fatigue cues that your body is trying to send. These same benefits that we see in using music for motivation during exercise can be extended to general life and weight loss as well. The above research demonstrates music’s ability to boost mood, increase motivation and establish a particular mental space (to “get in the zone”). While these effects are great for exercise, they also prove beneficial in establishing and accomplishing other weight loss goals like meal planning, cooking at home and stress relief. Music is especially popular as a stress relief technique given its ability to regulate mood. Some people that struggle with cravings or emotional eating find that listening to calming or uplifting music helps distract them and resist the urge to eat. It doesn’t need to be popular, or even “good” music. It should be any song that strikes a cord (no pun intended…) with you. Your playlist can be secret, or you can share it with the world – whatever works for you! The idea of music for motivation is to help YOU get in the zone and ready to work, not to prove how cool you are. So, it’s important that you don’t let musical trends, Top 40 charts or loved ones dictate your song choices. If you like the popular songs, great. If not, choose something else! Tempo is important when using music for motivation. Go for songs with an average beats per minute (BPM) that fits the activity you’re planning. It’s not ideal to listen to ballads or waltzes while running, and super-fast EDM probably won’t get you in the mood for a long, relaxing bike ride. So, where’s the sweet spot? For weight lifting (or similar) aim for songs with about 130-140 BPM to keep you pumped-up. If you’re doing cardio, your music should have about 120-160 BPM (depending on your speed) to promote endurance. Check out this chart from WorkoutMusic.com to find the recommended BPM for other common exercises! Lots of people like to maintain several playlists so that they’re always prepared with the right type of music for the day’s workout. If building BPM-oriented playlists seems overly-complicated, some applications (like Spotify) have modes where you can choose “Running” and it will automatically match the music tempo to your cadence! Studies show that randomness makes music more rewarding. When you expect your favorite song it’s exciting, but when you hear it unexpectedly it gives you this temporary sense of euphoria. This is because when that song you love comes on unexpectedly, the rush of dopamine is stronger. Dopamine is the neurotransmitter (brain chemical) most-commonly associated with pleasure and reward. So, keeping your workout motivation playlist on shuffle promotes feel-good dopamine release to keep motivation (and reward) levels at a peak! Do you listen to music for motivation while you exercise, or during other times of the day? Do you think it helps? Share your questions and comments with us in the comment section below!